The race continues! 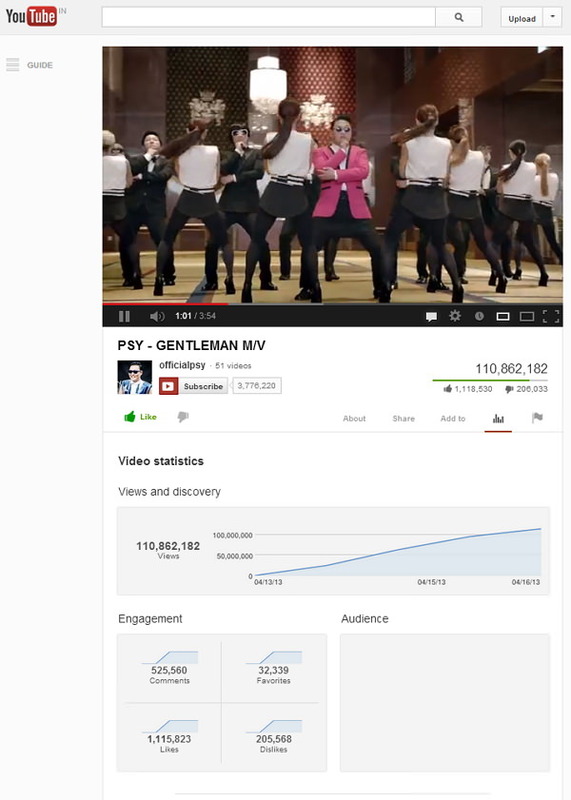 PSY's new Gentleman music video crosses a billion views milestone just in 3 days. The music album launched on April 13, 2013 in Seol. Gentleman also gets 525,560 Comments, 32,339 Favorites, 1,115,823 Likes and also 205,568 users dislikes this video. The Gentleman video achieves new record by reaching 27 million views in less than 24 hours, previous record for first-day views of 8.0 million set by Canadian star Justin Bieber's Boyfriend video in May 2012. The race is still going on! lets expect Gentleman will break Gangnam Style (currently 1.5 billion views) record. Say your opinions in comments.